We start the story off with the three sisters Abigail, Amelia, & Anne-Marie together, and we are briefly introduced to each of them, however after an accident happens, they are split up. I am so glad that this split happened, it would have been hard to keep up with all three stories at once. After a brief farewell to two sisters, our attention is brought to Abigail. Abigail is a fun character! She is smart, but also sneaky, a bit of a liar, trickster, a blatant thief, and she has sharp whit about her that can easily be perceived as sarcasm. She is flawed. She isn't perfect and she knows it. She also knows that she just wants her sisters back. Getting back isn't as easy as she hoped though. Her rescuer Hershall Digman is just as much as a con artist as she is, but for political cause. He is not meek or mild and a good balance for Abigail's willful ways. Both of the star characters are flawed, they each have their own problems with faith and their weakness tends to guide them at times. And in its own way, it is refreshing to read about them, they feel real. The things Abigail says in her rants or in sarcasm remind me of something I would say. 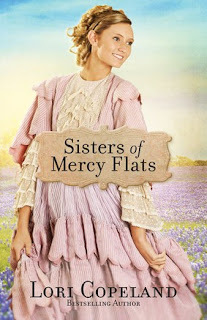 The Sisters of Mercy Flats is set during the Civil War and even though this was a very hard time in history, Lori Copeland was able to give it a lightness to it, which can be hard considering it is a depressing time. She was also able to capture the openness and grandness of Texas in her descriptions of the landscape. You can also tell that Lori Copeland has done significant research on the political climate of Texas and The South during this time from conversations between characters and I was happy to read it. The Sisters of Mercy Flats was a fun story for me read and it was hard to put down! 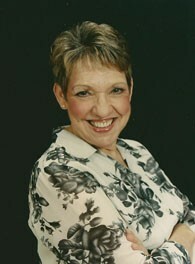 Too see more books by Lori Copeland please check out Harvest House Publishers web site. You can buy Sisters of Mercy Flats at Amazon or ChristianBook.com. Thank you to Harvest House Publishers for this free book for my honest review.